It’s no secret to any company in the world that group cohesion is absolutely central to success. This isn’t just some vague, airy-fairy notion either. Group cohesion, from good working relationships between staff members to strong production line coordination, is one of the most important determinants of your bottom line. Yet it appears that the importance of group cohesion is something that needs to be reiterated often. In the rush to meet the deadline and complete individual tasks, it’s often the first thing to get left behind. Then when the work starts to suffer, managers may be left wondering why, when all the individual elements seem to work perfectly, they just don’t seem to be pulling together. It pays not to lose sight of the cohesion of your team, to monitor and to foster it. Group cohesion is the strongest guarantee you have that your staff will stick to the goals and procedures of your company. This is not only because they hold each other accountable and encourage one another, also because they feel a greater sense of personal investment, as each member recognises the value of their place in the team and their role in the process – and all of that translates to better productivity and performance. It makes for a happier team and a more efficient one. 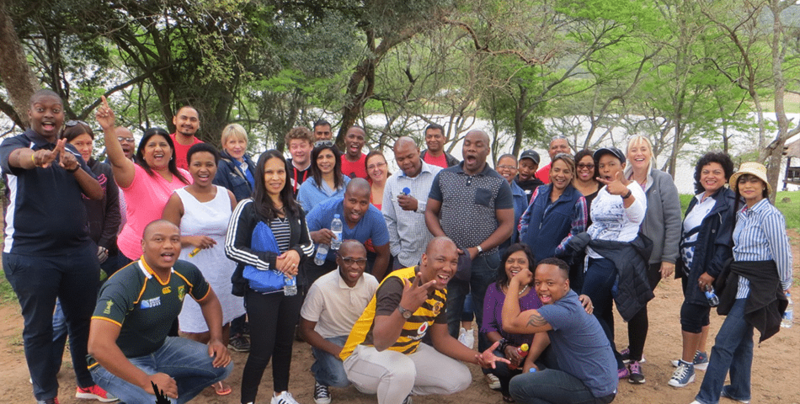 If you reach the point where you think that the cohesion of your team could do with a bit of a refresh, perhaps it’s time to plan a teambuilding outing. Often, all that is needed is for the team to be taken out of their daily work zone and thrown into a different environment, offered a new challenge to solve together and allowed to have some fun. More than that, however, a set of specially planned activities specifically targeted at improving team cohesion will not only build it up again, but also offer you the tools to maintain its strength. Our courses, such as Attitude, Communication and Cooperation; The Formation, Maintenance and Leadership of Teams, Conflict Resolution; Inspiration and Motivation will actually give your team members a qualification in the arts and sciences of team formation and maintenance. Then we can take them out on an adventure that will put all the principles of teamwork into action: Group Dynamics, Rafting, Orienteering, Creative Solutions and more.